Here you can find all the details about IBCT TOT program, the CPT level. Program advantages, who should attend, program information and how to apply for it. 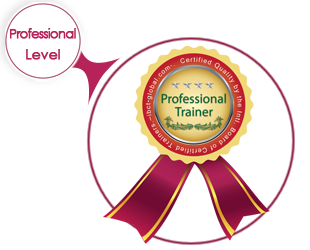 International recognition as a Certified Professional Trainer (CPT). It is your professional path to the training & HRM and HRM Career. The right to use the IBCT Certified Professional Trainer (CPT) Hallmark in all printed and virtual matters. Listing your name & credentials to the international ‘CPT’ Directory on the IBCT website. Form the targeted attitude of trainees and human resources. Positively change the attitude of human resources and trainees. Differentiate among the perception, bias, and attribution. Explain the attitude formation and change theories. Play the suitable trainer’s role in different training situations. Successfully apply the adult learning principles in training. Interpret the corporate motivation theories. Motivate trainees and human resources. Professionally deal and train trainees and human resources with different learning styles. Point out the difference between the theories of personality. Effectively deal and train trainees and human resources with different personality styles. Reflect positive attitude for strictly applying the IBCT international standards in training and HRD. Consider the individuality of human resources and trainees. Realize the importance of managing each phase of group dynamics. Participants should be fully dedicated to the training and 100% free from any job duties during the entire period of training. Read the full attendance and achievement policy here. The program is evaluated according to the first and second levels of Kirkpatrick model per run. Since I graduated from faculty of Medicine in 2002, I didn’t stop searching for new challenges, limitless horizons and endless excitement. After 13 years, my rocket lands on IBCT planet. People on this shiny planet, are professional, enthusiastic and helpful. They are called “certified international trainers”. They give me a hand to discover myself, catch my dreams, and see my future clearly. IBCT gives you battery with self-renewal capacity, to be excellent and effective in each step in your coming life. Thank you IBCT. It was a great enjoyable learning experience to me, highly professional and fulfilling all my standards. Although so exhausting, the CPT training will always be a very nice and unforgettable memory to me. No words can express my feelings towards this amazing & inspiring training. It enabled me to understand hidden aspects of myself & to respect differences between other people & to deal with them in a correct way. It was a perfectly structured program that enrich my experience. I hope that everyone can join this motivating training.